Looks like we will get an early surprise from the upcoming Dobutsu Sentai Zyuohger summer movie with the return of the 3 anthropomorphic Super Sentai mentors! 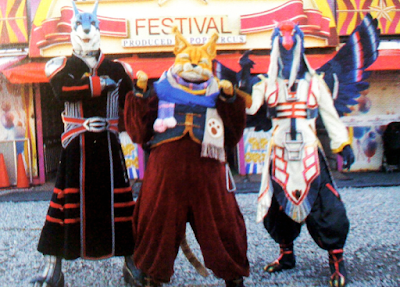 Yes, Super Sentai fans, Doggie Kruger/Dekamaster (Dekaranger), Master Shafu (Gekiranger) and Torin (Kyoryuger) will guest star in the movie as audience of the World Animal Circus. And before we end this post, here's a new awesome shot of the movie exclusive mecha, Condor Wild! Dobutsu Sentai Zyuogre The Movie: The heart-pounding circus panic will premiere in Japanese cinemas this August 6, 2017.
it has torin in it, i must watch it even if he only appears for 5 seconds. 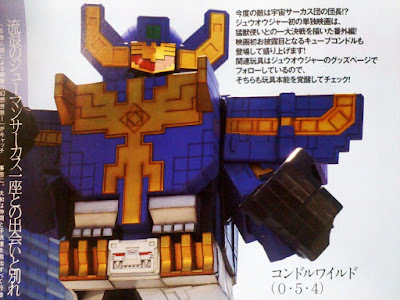 Here's hoping for a Deka Master and Kyoryu Silver cameo in a fight scene. So are they getting the actors back or just using the costumes. I get Shafu and Doggy but what about Torin? Isn't he technically a Dino bird? I wonder who will voice Xia Fu now that Ichiro Nagai is gone. Considering his original voice actor for Master Sha Fu passed away last year, who's gonna replace him as a voice actor?